SALT LAKE CITY (AP) When Utah gets the engine running on the perimeter, it doesn’t take long to race away from an opponent. 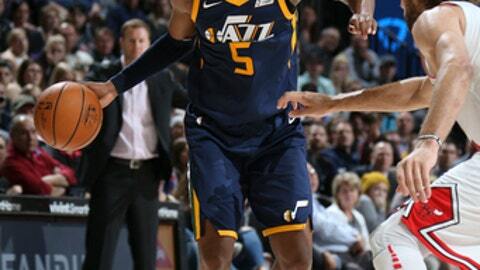 Back-to-back 3-pointers from Jonas Jerebko and Ingles extended Utah’s lead to 67-53. Consecutive 3-pointers from Hood put the Jazz up 82-60 later in the quarter. ”I was hurt last year,” Favors said. ”It was miserable. Definitely I’m having a lot more fun. Appreciate being out there on the court more now since I couldn’t do much last year.